Haltwhistle Burn is a delightful walk through beautiful scenery. But in the 1860s, it was a place of intense industrial activity with blast furnaces, mills and mines. The impressive 13th Century Church of the Holy Cross links us to Roman and Celtic beginnings. From the start of the Scottish Wars of Independence in 1296 and for many centuries later, the constant marauding of English and Scots caused turmoil throughout the Borders. 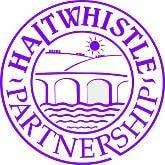 With the coming of the railway in the 1830s, many of Haltwhistle's inhabitants were tradesmen and artisans who provided for the needs of the surrounding farms and villages. Explore Haltwhistle's Coal, Corn and Courting Couples. 10 million Years of Earth's History 300 Years of Man's Ingenuity. A gentle walk up Haltwhistle Burn exploring the geology and history of this fascinating area. Haltwhistle Burn - a Walk through time..